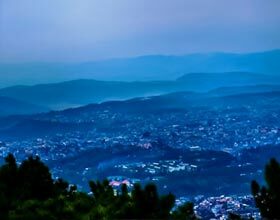 Padmaja Naidu Himalayan Zoological Park (also called the Darjeeling Zoo) is a 67.56 - acre (27.3 ha) zoo in the town of Darjeeling in the Indian state of West Bengal. The zoo was opened in 1958, and also an average elevation of 7,000 feet (2,134 m), is the biggest high altitude zoo in India. It specializes in breeding animals adapted to alpine conditions, and has effective restricted reproduction programs for the snow leopard, the seriously threatened Himalayan wolf and the red panda. The zoo attracts regarding 300,000 visitors every year. The park is called after Padmaja Naidu (1900 - 1975), daughter of Sarojini Naidu. The zoo serves as the central hub for Central Zoo Authority of India's red panda program and is a member of the World Association of Zoos and Aquariums. 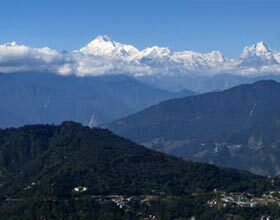 A zoo was established on 14 August 1958 in the Birch Hill neighborhood of Darjeeling under the Department of Education of the Government of West Bengal with a goal to study and preserve Himalayan fauna. Its first Director and also founder was Dilip Kumar Dey. Mr. Dey, who belonged to the Indian Forests Service, was on deputation to the Division of Education for the express objective of establishing a high-altitude zoological park specializing mostly in Himalayan flora and fauna. The zoo now contains endangered animals like snow leopards, red pandas, gorals (mountain goat), Siberian tigers and a variety of endangered birds. Being the largest high altitude zoo in India, the park attracts animal lovers. 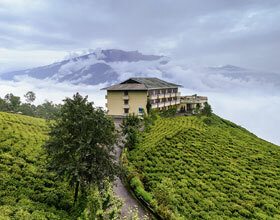 The nature enthusiasts come to admire the beautiful Himalayan environment. The zoo is the home for Snow leopard, Tibetan Wolf, Siberian tiger and other beautiful animals. In addition, there are the Asiatic black bear, barking deer, yellow Macaw, Himalayan Monal and many other animals. The zoo becomes the perfect place to meet the beautiful and endangered animals that are not found anywhere else. 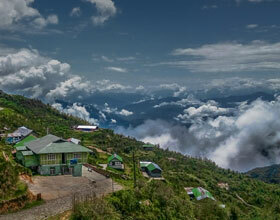 The Himalayan scenic beauty is another trait of the zoo that attracts the tourists to admire the beauty. 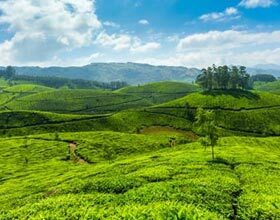 Overall, the zoo is the complete package for the people who want to discover the exceptional beauty of the Himalayan regions and that too, in a safe environment. Open up daily (other than Thursday) from 8:30 am to 4:30 pm in summer season, 8:30 am to 4pm in winter season. 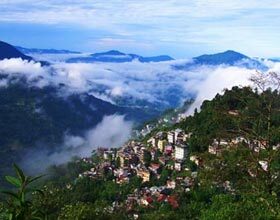 There is an admission fee which is combined keeping that of Himalayan Mountaineering Institute as well as Bengal Natural History Museum that lie in the same substance. The mixed ticket is Rs. 60/-. There is also service charge for taking cameras inside (Rs. 10/-).